Hanuš Seiner is one of the best Czech short story authors in my opinion, and every one of his sparse publications is worth reading. When I read his story Hexagrammaton in 2013, it took my breath away. What a shame that readers abroad cannot read it, I thought. Someone should translate it. Back then, I had no idea that I would translate it a few years later. Cut to 2017: The English translation is going to be published at Tor.com on May 10. Why stop at one translation? When I started working on my hard SF anthology, I asked Hanuš to write a story for it. His Terra Nullius became the anthology’s titular story, and not long after that, I asked him if I could translate it. Since Monday, you can read it in Strange Horizons. Illustrations by Jeffrey Alan Love (Hexagrammaton) and Sishir Bommakanti (Terra nullius). Terra Nullius isn’t the first story from my anthology of the same title. My story “The Ship Whisperer” appeared in Asimov’s in English, and in ZUI Found in translation into Chinese by Geng Hui. What else can we look forward to? 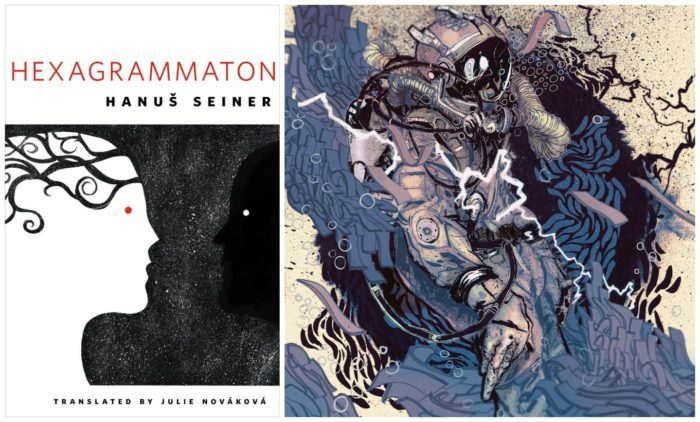 I’m working on translating samples from several other stories by various Czech authors, and a couple of my own works are awaiting publication: The Wagner Trouble (in GigaNotoSaurus), To See The Elephant (in Analog), Étude for An Extraordinary Mind (in Futuristica II), Aeronauts of Aura (in Ares Magazine)… For non-English speakers, there are also a few promising projects to translate Czech SF into Portuguese and other languages (e.g. Azerbaijani or Filipino). Let’s see where it leads! Cover and contents of Futuristica II (Metasagas Press; cover by Kanaxa Design).